Looking for the perfect gift for a beauty fan or makeup lover in your life? Give them a beauty subscription box! Each curated package comes filled with things like cosmetics, skincare, hair products, beauty tools, and other surprises—everything your recipient needs stay on top of the trends and feel fierce. 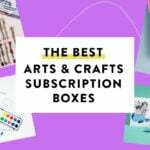 Birchbox is the beauty subscription box that started it all, and they’re still a great gift option. Best of all? They make gifting user easy, with options for prepaid subscriptions and gift cards, and non-subscription gifts too. Every month, Birchbox sends along 5 personalized beauty samples from beloved brands and new can’t-miss companies. If you’re ordering a gift subscription, the first box will be full of more general crowd-pleasers. Then, your recipient will get an email with a Beauty Profile to fill out. From then on, they’ll get picks suited to their specific skin, hair, and makeup preferences! $10 per month. Ships to US, France, Spain and the UK. Check out all of our Birchbox reviews! This box of hair, nail, skincare, and makeup goodies was created for and by women of color! We love the thoughtfully curated brands and the fact that each assortment of full-size and deluxe products promises a value of $75 or more. $25 per month. Ships to US. Check out our We Are Onyx Box reviews to learn more! COUPON: Save $9 off a 3-month subscription with code ONYXBOXH320, or use code ONYXBOXH619 to save $12 off a 6-month subscription! Ipsy is one of our readers’ most-loved beauty and makeup subscriptions! Each month, your gift-getter will received a personalized assortment of sample- and full-sized products from big-name and up-and-coming brands. They’ll get skincare, makeup, and even hair products to love. It’s a great way to discover new brands and try new shades! Plans start at $10/month. Ships to US and Canada. Check out our Ipsy reviews! Julep is the ultimate in totally customizable beauty and makeup subscriptions. Each month on the 20th, subscribers get to pick out the new nail and beauty products that will appear in their boxes. Everything is full-size, and you can get 2 nail polishes plus a full-size beauty product of your choice each month for the cost of the box. (You can also go for all nail polish, or all beauty products–customize it however you’d like!) Julep is the perfect beauty subscription if you want to expand your nail polish collection and your beauty bag, in perfectly personalized ways. $24.99 per month. Ships to US and Canada. Check out our Julep Maven reviews to learn more. COUPON: Signing up for yourself? Use this link to and use code POLISHGIFT at checkout to get a free 12-piece nail polish box when you sign up! Yuzen is one of the original eco-friendly beauty subscription boxes. Each quarterly box includes a mix of natural spa and beauty products, plus the occasional yummy treat. They also typically have gift boxes available during the holidays! $35 per quarter. Check out all of our Yuzen reviews! Know someone who reads Allure Magazine? They’re going to love Allure Beauty Box! Each monthly box includes at least 5 deluxe sized samples (sometimes they include a bonus item, too). Sometimes there’s a full-size item in there, and the samples tend to be generous. Look forward to well-known brands for hair, skin, and your makeup bag! $15 per month. Ships to US states and Puerto Rico only. Read our Allure Beauty Box Reviews to learn more. COUPON: Use this link to get your first box for just $10.00! If you’re looking for vegan and/or natural beauty products, this box is for you! Petit Vour focuses on quality over quantity, so you can usually expect 4 samples, some of which may be full-size. We’ve discovered some great new cruelty-free, non-toxic cosmetics and skincare brands from this subscription! $18 a month to the US (Canada – $23 a month, Worldwide $25 a month). Check out all of my Petit Vour reviews to learn more! Each month, you’ll get 6 or more professional-grade and exclusive beauty products to keep your hair, skin, and makeup collection looking fresh! BeautyFIX is curated by the beauty experts at Dermstore.com, so you can count on innovative, quality skincare products. Expect a mix of full- and travel-sized products with a total value of $100 or more. Sweet! $24.95 per month. Ships to US. Check out all our Beauty Fix reviews! Maybe the makeup maven in your life already has products they swear by and use every day. Treat them to some new tools, instead! This subscription sends out 3-7 quality brushes every month, including liner, foundation, contour, eyeshadow, and powder brushes, with a guaranteed value of at least $30.00. $19.99 per month. Ships to US and Worldwide. Check out our LiveGlam MorpheMe Brush Club reviews! A Note About Gifting: There’s no official way to gift MorpheMe, so we recommend following this link and subscribing on behalf of your recipient! Like all of its subscription boxes (which include film, books, and food in addition to beauty), Boxwalla’s beauty box is thoughtfully curated and packaged with care. The products are always top-notch, packed with nutrients, and always cruelty-free. It’s on the pricier end of the spectrum, but well worth it for the high-end plant-based potions you receive! $49.95 every other month. Check out our reviews of the Boxwalla Beauty Box! Boxycharm has exploded in popularity this year, and will be sure to delight your trendiest makeup-loving friend. 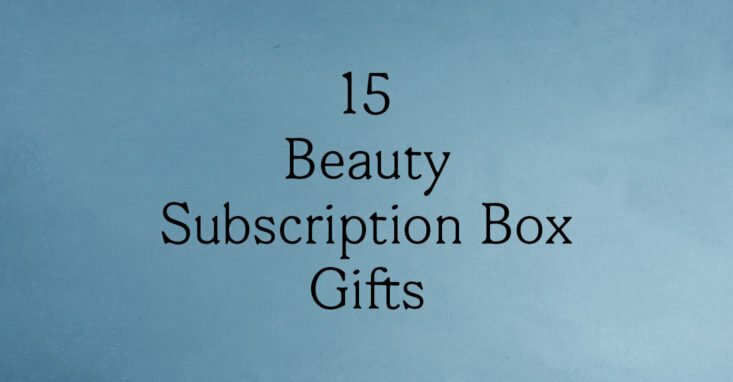 Each box includes 4-5 beauty items with a focus on makeup (think eyeshadow palettes, lipsticks, and more) and beauty tools, with some skincare or other items occasionally as well. Best of all: each box promises a retail value of over $100! $21 per month. Ships to US and Canada. Check out all of our BoxyCharm reviews! Look Fantastic Beauty Box is a beauty subscription box from the UK that includes at least 6 handpicked items along with an issue of Elle UK magazine. The box includes skincare, haircare, cosmetics and body products curated around a theme. Shipping is free to the US, and the value of these boxes is always impressive! $19 a month. Ships to US, UK, Canada, Australia. Check out Look Fantastic Beauty Box Reviews to learn more! Each month, this subscription introduces you to a different natural beauty brand via 1-2 full-sized and 1-3 travel-sized products. You can count on deluxe brands and high-quality potions, such as cleansers, lotions, eye balms, masks, facial mists, and much more. If you’re dedicated to expanding your natural beauty collection, this box provides an amazing way to discover new must-haves! $39.95 per month. Ships to US. Check out our Pearlesque Box reviews! This is a great beauty subscription for anyone who loves a good sheet mask! And the price tag alone will put a smile on your face. $8.90 for 4 masks per month, $19.90 for 7 masks per month. Ships worldwide. Check out our Facetory reviews to learn more about this subscription box! COUPON: Use code MSA20 to save 20% off your first box when you sign up here! Margot Elena is an amazing seasonal lifestyle box full of body, home, and beauty products from the Margot Elena family of fragrance brands. Think elegant perfumes, creams, and more from boutique faves like Lollia, TokyoMilk, and Library of Flowers to name a few. This thoughtfully prepared box looks as fantastic as it smells, plus it contains $200+ worth of product! $49.99 per quarter. Ships to US. Check out our Margot Elena reviews! 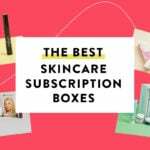 Explore even more of our favorite beauty boxes for skincare, makeup, body care, nail polish, and other goodies! I noticed there is no #10…was that spot for glossybox maybe? Great list and wonderful picks! Definitely agree with boxycharm being #1!! Curious to know why Ipsy isn’t on the list. Is it not good for gifting? My first reaction too! lol, but maybe its not on here because for Ipsy you have to complete a beauty profile. My first thought too! :). But then maybe it is not there because you have to create a beauty profile for Ipsy. Yep, Ipsy really isn’t designed for gifting. But Birchbox lets your gift recipient fill out the beauty profile themselves. Hope that makes sense! What happened to Beauty Fix? I would like to know that too. Why BeatyFix didn’t make list. I think we forgot all about pets on the list, I need to gift a doggie box to a friend! This focused on beauty boxes. The title is ’15 best beauty …’ hence no pets in this post. Thanks Liz, obviously I skipped the ‘beauty’ reference.